Have you ever worked in a group where the same decision gets re-visited over and over again, or a decision is made but there is little to no follow through? What can we do as facilitators to ensure that all participants are committed to executing on decisions made? An inclusive decision-making process ensures that everyone has a voice and we know that when people are involved in the decision-making they tend to be more committed to following through. I’m going to suggest, however, that to truly tie the knot on commitment to a decision there must be a clear ‘sign’ of agreement to the decision. Too often facilitators ask, “do you agree with the decision on the table?” hoping to get clear signs of agreement. Instead of getting clear verbal signs, we get ambiguous non-verbal signs (hesitation; saying yes but their body language shows hesitancy, etc.). Instead of checking in with each person we tend to fall back on the most dominant members, those of higher status or those that are just the loudest to determine agreement. At the end of day if people don’t follow through it may be because we didn’t check in with everyone and we didn’t have a concrete, concise tool for measuring agreement. At the beginning of a decision-making meeting I educate people on the High Five and seek agreement on my definition of consensus. If there is disagreement ,I facilitate the group to come up with their own definition of consensus and post the definition and Hive Five on the wall so that when a decision needs to be made everyone can easily refer to these charts. 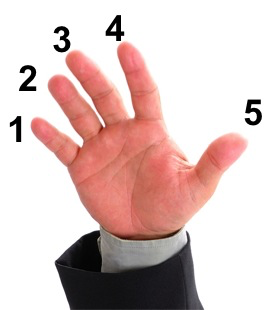 Finally, when testing for agreement, if any group members show less than four fingers the question you need to pose to him or her is, “What conditions or assurances will it take to move you to a four?” I then try to incorporate these changes where possible, ensuring that the changes don’t push others below a consensus. Bringing a concrete methodology to how you test and manage consensus decision-making is critical to authentic agreement and successful follow-through.